So last week I got my latest delivery from the Craft Gin Club. 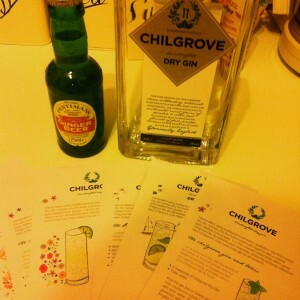 This month’s package was a bottle of Chilgrove Gin with added Fentimans Ginger Beer and a whole load of recipe cards. 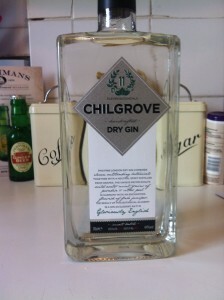 Chilgrove Gin comes from Chilgrove (funnily enough) outside of Chichester so for me it is a good local gin (37 miles according to Google Maps). Founders Christopher and Celia did some research and discovered an old school recipe (16th Century old) which used a grape based spirit for the gin rather than the more traditional vodka base. After lots of experimentation focusing on getting a great base spirit enhanced by botanicals, they came up with their award winning mix. The key botanicals include coriander root, two types of orange, key lime and mint. The bottle comes with a foil wrapped lid (much easier than a wax!) with a cork and a bloody satisfying pop (my favourite part of opening any bottle). Even from briefly opening it the smell hits me. It smells like a perfect summer evening – a rare thing in England. You firstly get the smell of the juniper and you can pick up the coriander (I noticed this before I read the list of botanicals, I think my palate is FINALLY growing sophisticated enough to notice these things!) As a warning it’s quite a heavy bottle so take care when pouring – not that I nearly dropped it or anything… I mixed it with a measure of water – it releases quite a strong smell (bottled at 44% so not surprised) yet it is fresh and fruity – I imagine this is mix of the orange, lime and grape. There’s a slightly bitter taste at the back of the throat, smooth on the tongue but without the fruity or zesty taste that I have come to expect from gin. As I write and continue to drink, and now knowing there is some mint hidden in there, it makes sense. Fresh and clean and a good strong spirit. Making up my G&T with a Tesco low calorie tonic (pre-holiday detox and all that), I take a mouthful and my tastebuds are instantly confused by the unusual taste. It doesn’t taste a lot like gin and I feel this is because of the grape base rather than the botanicals used. It seems less harsh, not quite as fresh as Blackwater No5 for example, but it certainly has a different taste. I added as lemon wedge (all I had in the fridge) and it could almost trick me into thinking I was drinking wine. A cold, fruity white wine. Very easy to drink (dangerous when drinking it on a rather hot evening as I was!). 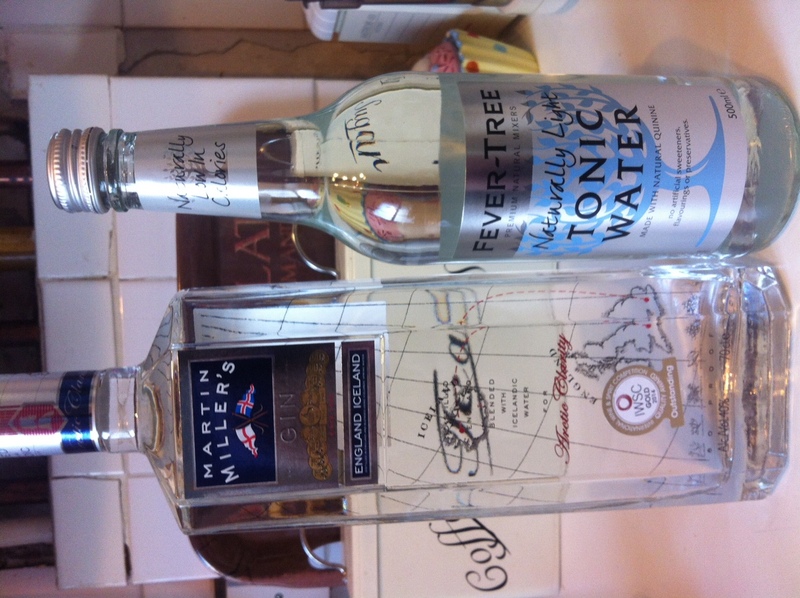 It is very different, but not in the way Tarquin’s is, this just doesn’t really taste like gin. Very strange but lovely. A few mouthfuls in and I can see this becoming a firm favourite in my collection. At this point in my tasting I took a break to make dinner and mull over the flavours. The more I drink the more I notice the gin tastes coming through, but it really does taste like a white wine. I can imagine why this wouldn’t appeal to some gin drinkers who like their gin a bit punchier, but since its launch in June 2014 it has won a silver medal at the 2015 San Francisco World Spirits Competition, a silver medal at the 2015 World Spirits Awards and a bronze at the 2015 International Spirits Challenge. Not to be sniffed at. 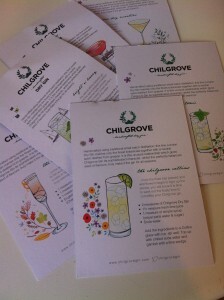 The delivery came with a range of cocktail recipes including their takes on a Tom Collins, Pink Gin, Martini and a Gin Fizz. The one I’m most excited about is the Bright ‘n’ Breezy – gin, lime, angostura bitters and ginger beer. Sadly my lack of angostura bitters means I can’t try this right now, but I am planning a special blog on exciting gin cocktails so keep your eyes peeled. Chilgrove is available online and in selected shops (Brightoners – head to Butlers Wine Cellar) with Master of Malt selling a 70cl bottle for £29. I would happily pay that for this gin, if anything I expected it to be more expensive. Whilst I’m not certain it will become my go to gin for my after work G&T, I think it’s subtle flavours will work brilliantly in cocktails and paired with different flavours. I’m looking forward to trying it again because by the end of my second drink I was still discovering different notes and tastes. I think for the price, it’s worth ordering to give it a go if you want to change things up and try something new. You can find out more about the Craft Gin Club on Twitter and Facebook, as are Chilgrove here and here. Don’t forget, I’m also on Twitter with daily ramblings about Brighton life and gin and food and for photos to accompany these, check me out on Instagram. 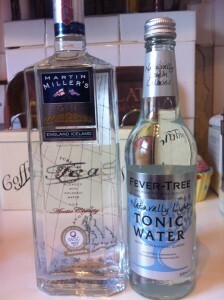 Martin Miller’s Gin is probably the most ‘mainstream’ gin that I have reviewed so far. By mainstream, I mean it is available in shops and bars, but it isn’t quite at the Gordon’s/Bombay Sapphire level. Launched in 1999, the London Dry Gin made itself unique by blending the spirit with Icelandic water. Whilst it follows the traditional flavours and dryness, but is distilled twice – once with the juniper and ‘earthier’ botanicals which are later blended with the citrus elements – in this case “bitter orange peel from Seville, lemon and lime peel“. Bottled at 40%, this gin is what I would call mid-market – more expensive than a Gordon’s but not the pricey £30+ level of the ‘premium’ gins. 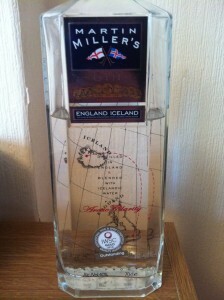 The bottle features a screw top, a sign of a mass produced gin. When opened it has a soft smell to it, not too harsh or dry, with the citrus notes coming through but not over powering. As per my usual method, I mixed the gin with equal amounts of water which released the smell of juniper, although not as intense as some of the other gins I have had. Soft on the tongue, the juniper comes through at the back and a slight bitterness on the front of the tongue hinting at the anise botanical. 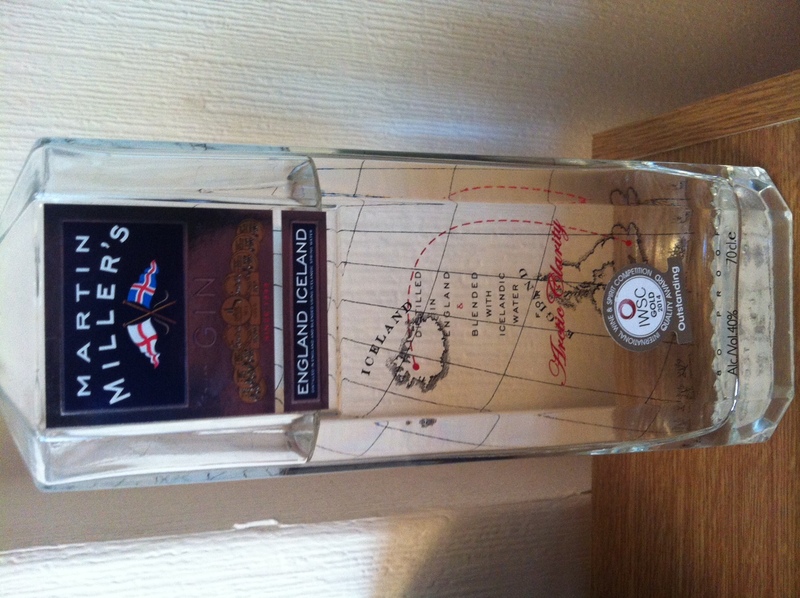 It tastes quite pure (if that makes sense) – they say it is blended with 100% pure Icelandic water “the properties of which give Martin Miller’s Gin it’s creamy soft palate”. I agree. Creamy isn’t a word I would usually use in this situation but it makes sense once you taste it. It rolls easily over the tongue, with flavour but not over powering. G&T time. I found a bottle of Fevertree lurking in my kitchen (bonus) so made up a simple G&T (although I didn’t pay attention when I poured it leaving it around 50/50 gin to tonic. Not to everyone’s taste but I reckon that’s about right). As the weather is warming up ever so slightly I’m finding I like more ice in my drink; nothing says summer like a very cold G&T (preferably on the beach about 50 feet from my front door). It has a certain tang to it (this might be the gin or the amount of gin, not entirely certain). It reminds me of Blackwater no 5. in that whilst it certainly has character it isn’t overwhelming with flavour. Add a lime wedge and it comes alive. The extra citrus brings out the subtler flavours. It remains slightly bitter at the back of the throat and the dryness of the tonic enhances that (that taste is one of my favourite things about a G&T – ironically this is what I used to hate before I became a ginaholic). The taste lingers in your mouth. Probably not for those who aren’t a fan of a dry gin (you know who you are). Definitely one for those that like that. 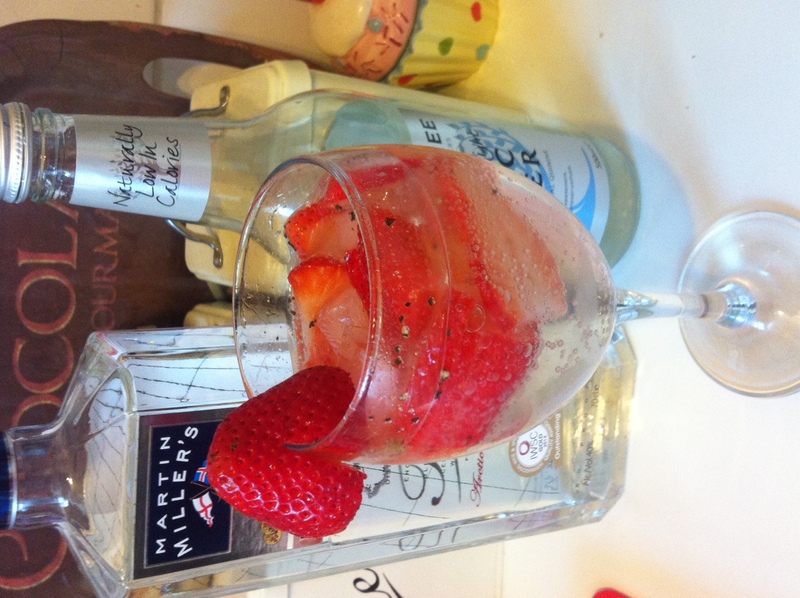 At this point, I usually leave my review, but I’d read before that Martin Miller’s works well with strawberries and black pepper. 50ml gin. Ice. Sliced strawberries. Tonic. Black pepper. It’s lovely. 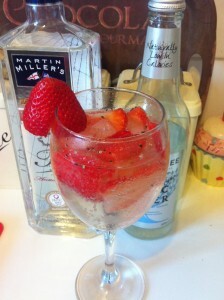 The strawberries give a fruity twist against the dry tonic and the black pepper adds a lovely sense of bitterness. I’d recommend making one of these, plus you can’t go wrong with boozy fruit. I got my bottle in Waitrose (I was feeling fancy and I treated myself) for £26 and they are currently offering 20% off all gin making it just £20.60 (so head down to get a proper fancy gin and make the most of it). Don’t forget you can follow me on Twitter for daily ramblings and on Instagram for various blurry photos due to my iPhone’s old age.